Are you guys started having a warning message “String is not a URI: URI with a scheme is expected.” in your VSCode AL extension development? This cropped up all of a sudden since past 2 days. Note: The warning only come up when you have opened your app.jason in the VSCode editor. At this moment, this is just a warning and not really stopping the extension development. I will update this post once a response from Microsoft is there in Github or once the problem is resolved. Let me confess, I never had taken Microsoft flow that seriously in last 1 year. I was too busy with Dynamics NAV and used to feel that it has limited functionality. But of late, I believe my love affair with D365 Business Central has changed that impression completely. With Business Central, I started looking things beyond Dynamics 365 and seeing technology collaboration in a much more interesting way. Signed up for a free Microsoft Flow account and it presented with hell lot of Connector options. Saved it and started testing it. How? And here it came up with a graphical display of my flow steps and status of each step. Probably it just took 15 minutes for me to create it from scratch and it worked without a hitch. Note: creating a contact in my business central instance is not a default action available in Microsoft Flow. I have exposed the Contact card page as web service [I Named it TwitterContacts] in my instance to make it available in Flow. I extended it further and added another action where it will connect to my Business Central instance and insert a new contact for each tweet [with twitter username as dynamics content]. Being a popular hashtag, #MSDYN365BC, the flow really started filling up my mailbox pretty quickly and I had to stop the flow after some time :). Yes! you heard is right. You no longer need a partner/developer license to create a new component / customize in Dynamics 365 Business Central. Not only partner/developer license Microsoft did a brilliant job in doing away with object licensing. Business Central customers no longer need to buy objects if you are developing something for them using the objects from 50000-99999 range. Isn’t that cool? Note: This holds true for Cloud version of Business Central at this moment. This may not be true for the upcoming Business Central On-Premise version [Roadmap says Fall 2018]. This will be more clearly stated by Microsoft when On-Premise Business Central is released. This is the RSP range which partners that have an ISV solution for on-premise have access to. By April 2nd, 2018 the partner can choose to use this range for developing extensions that can be used either in Dynamics NAV on-premise or in Business Central in the Microsoft Cloud. When used in Business Central these extensions are obtained as apps from appsource.microsoft.com. This range continues as it is today. Partners can obtain, for extension development that runs in Business Central in the Microsoft Cloud. This range is only available for extension development and only in Business Central. These extensions are obtained as apps from appsource.microsoft.com. So if you have migrated your skillset from C/SIDE and C/AL, its high time you do the same. And you will feel amazing. I myself moved from C/SIDE and C/AL more than a year back and I am bowled over this new development tool. And now, this weekend [1st September 2018], Microsoft has come out with its next release [Microsoft Dynamics Business Central On-Premise Partner Preview 02]. Update: Just to remind you Business Central is getting continuously updated and things are very fluid here. You may not find the partner preview 02 here anymore. But this is the place where all future releases will be listed. But since the release of first On-premise Partner Preview, there are a hell lot of queries are floating around on how to download the same. Let me clear few of the basic requirements before you can download it to your local machine. If the above criteria are met, then only you will be able to access the Microsoft Dynamics Business Central On-Premise Partner Preview 01 / 02 download link in Microsoft Collaborate. Download the instance you want to work with and Enjoy. You are ready to play with the Latest Dynamics 365 Business On-Premise Partner Preview 02. The installation process is pretty similar to installation steps of Dynamics NAV 2018. I will come up with a new post on the installation steps soon. Remember how kiddish 🙂 I was, when I expressed my frustration in LinkedIn because my favorite Dynamics NAV moving from On-Premise to cloud [Dynamics 365 for Financials] and the web client was pathetic? The lack of rich features in web client what we always experienced in Dynamics NAV windows client was pretty repulsive for me. 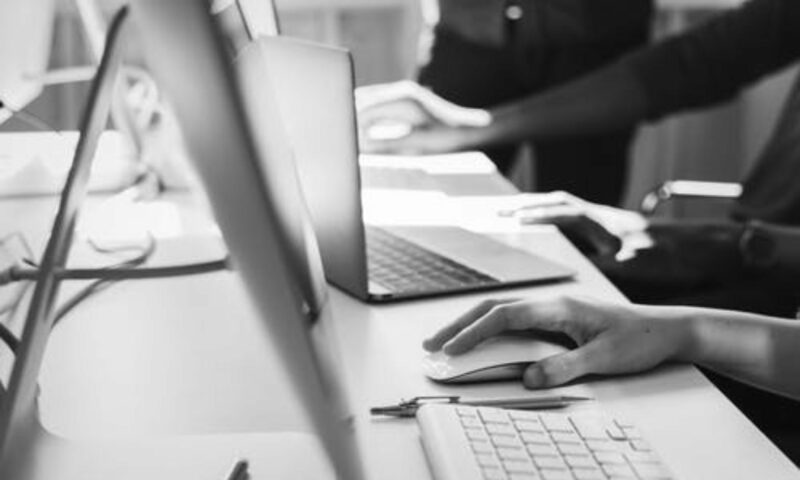 Things have changed so much since I wrote that and the upcoming features of Microsoft Dynamics Business Central [to be release between October ’18 and March ’19] has really bowled me over. What Exactly was most prominent feature missing in Dynamics 365 for Financials or Business Central? For me it was always the absence of classic FlowFilter facility. Mind it, Flowfield was always there. But you didn’t have the power to filter it out with a flowfilter. And I don’t need mention here how SIFT [Sum Index Flow Technology] has helped us in so many situations summarising data very effectively. Now Business Central Web Client is getting a major revamp with it’s october ’18 release and with my Insider Build, I got to experience few of those features first hand now. What made me happy is the introduction of a filter pane and availability of FlowFilter. Dynamics 365 Business Central #D365BC is opening up to new countries very quickly. 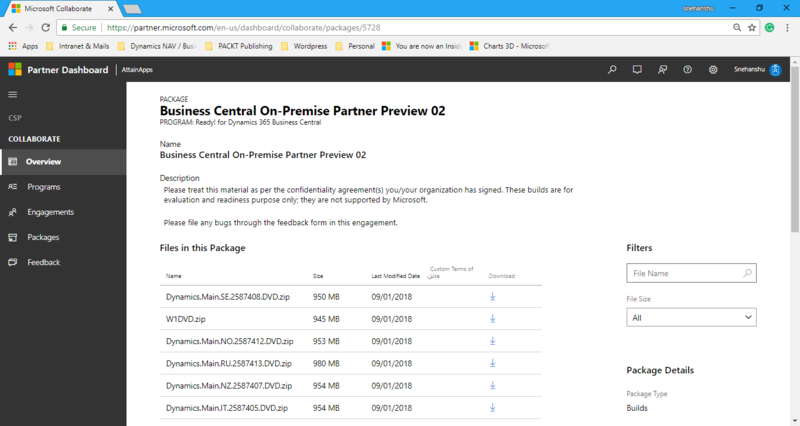 Business Central general availability is in 19 countries now and if you are already onboard to Microsoft Ready-to-Go program, the Developer Preview images are available for 23 countries. Updated 24th August ’18: On August 22nd, Daily build of Business Central Developer Preview is added for 7 more countries. If you are onboard to Microsoft Ready-To-Go Program, you will have the access of the same. Updated 24th August ’18: 7 more countries Developer Preview build is added. Want to migrate to Dynamics NAV C/SIDE to VSCode+AL extension 2.0 development?